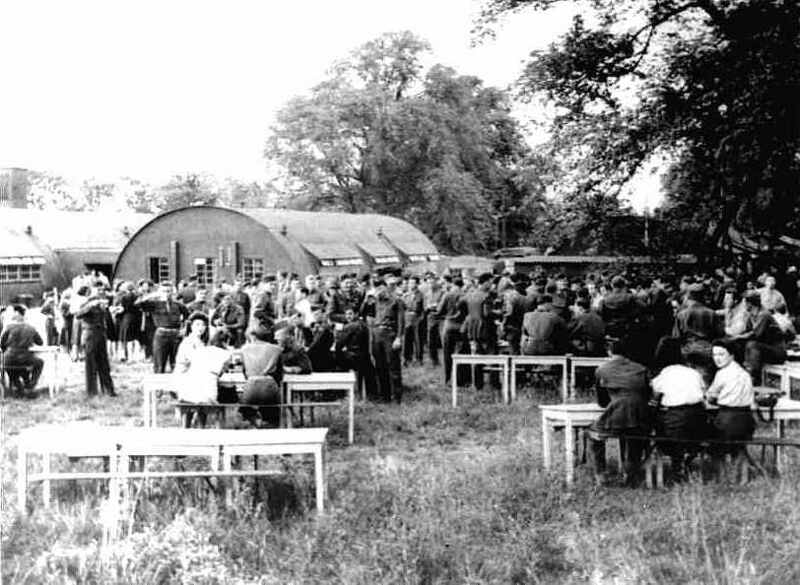 A gallery of Photos of Support Personnel at Glatton airfield. 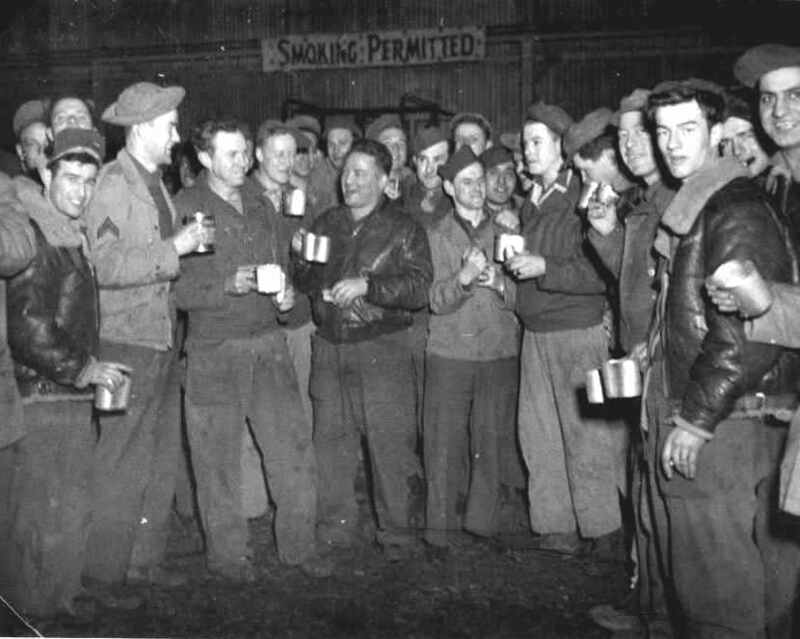 Enlisted men gather outdoors to celebrate the Group's 100th mission. 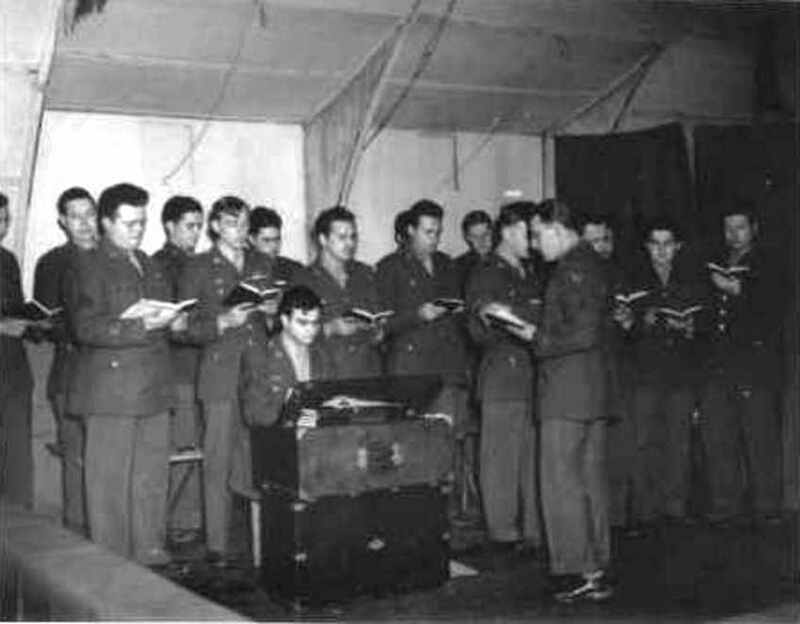 A huge gathering celebrating the Group's 100th mission. 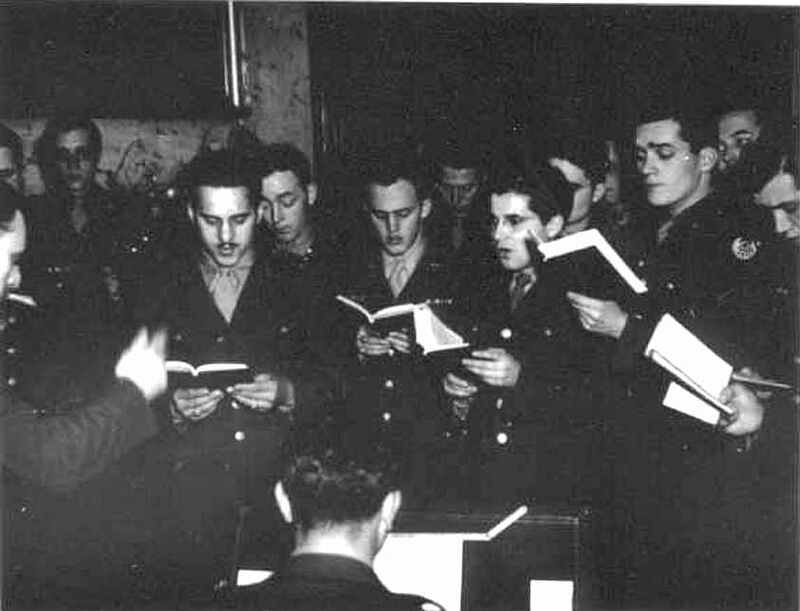 A welcome break in the days routine. 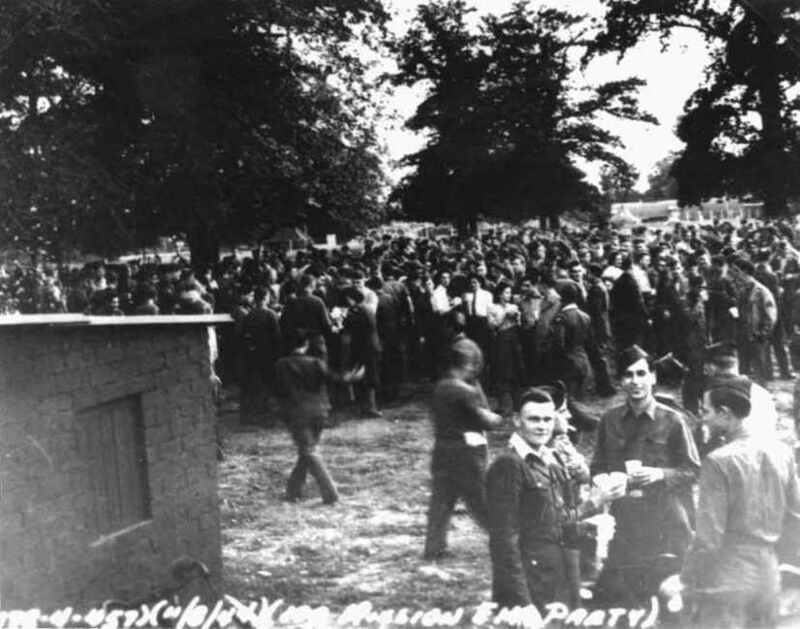 The 200th mission party. 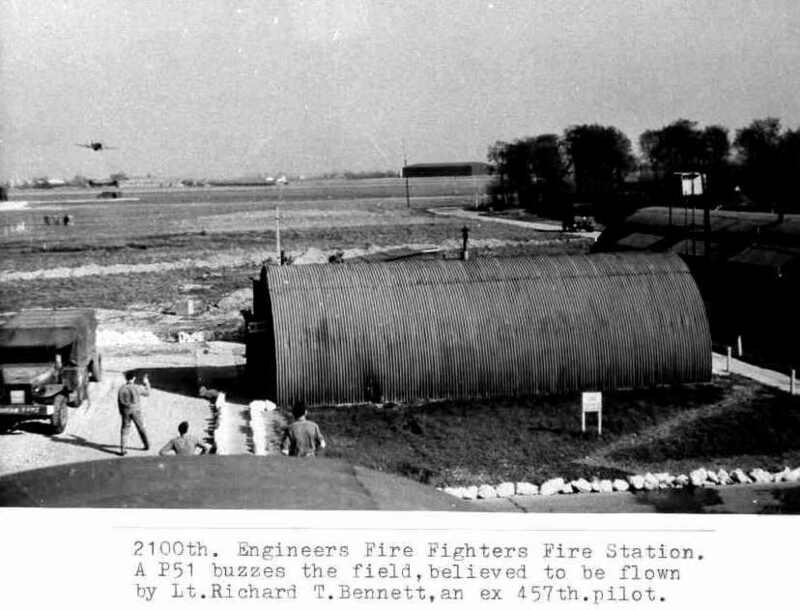 A P-51 buzzes the 2100th Fire Fighter Engineers fire station. 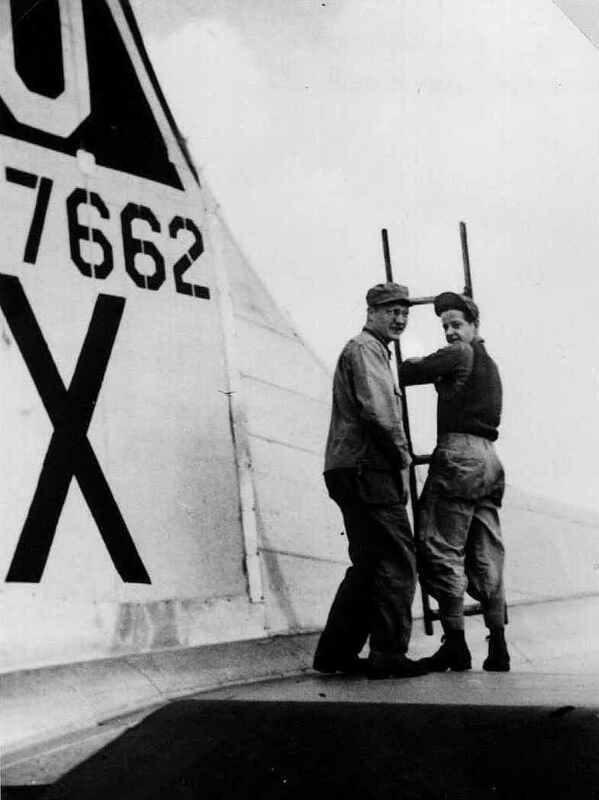 Don Schoedel and Will King on 662 stabilizer. 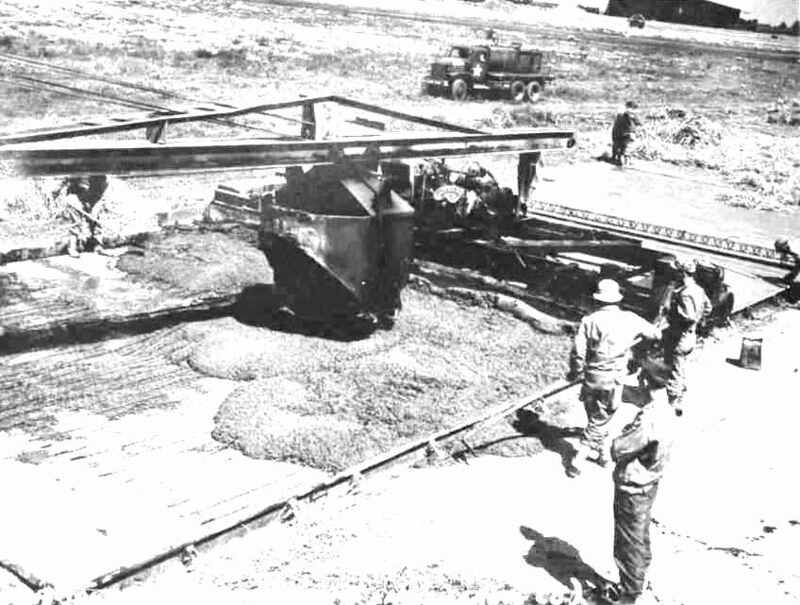 The 891st Engineers laying runways at Glatton. 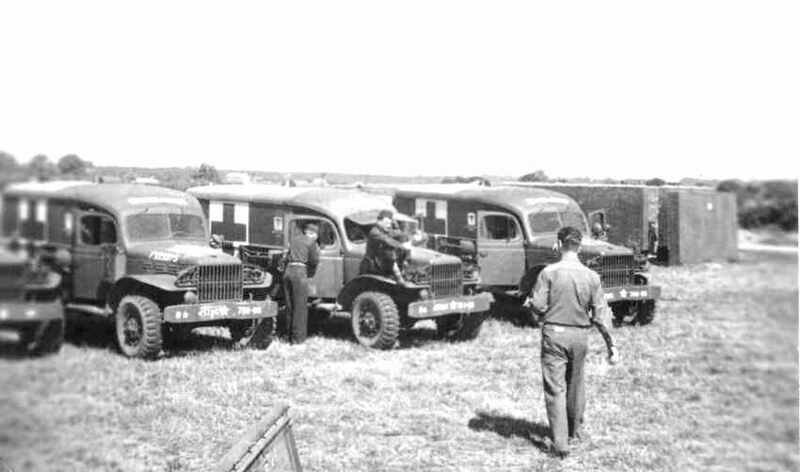 Several ambulances awaiting the return from a mission. 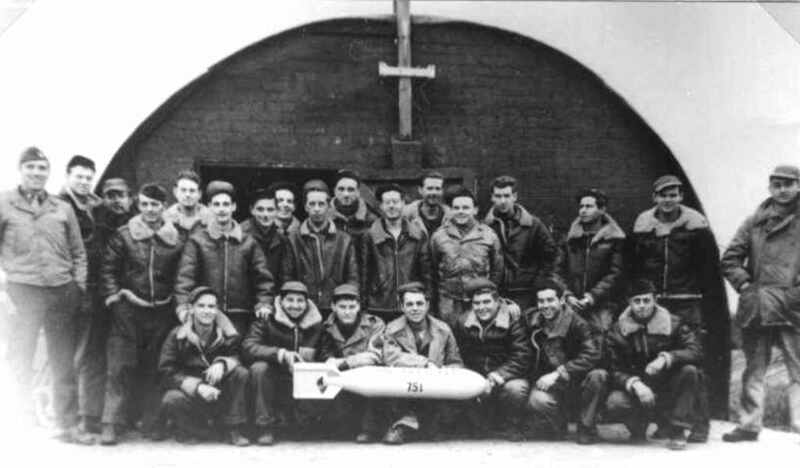 The 751st Armaments group. 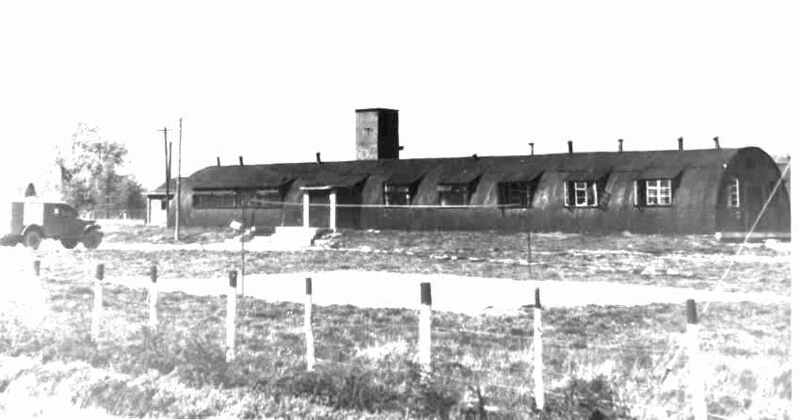 The base hospital at Glatton. 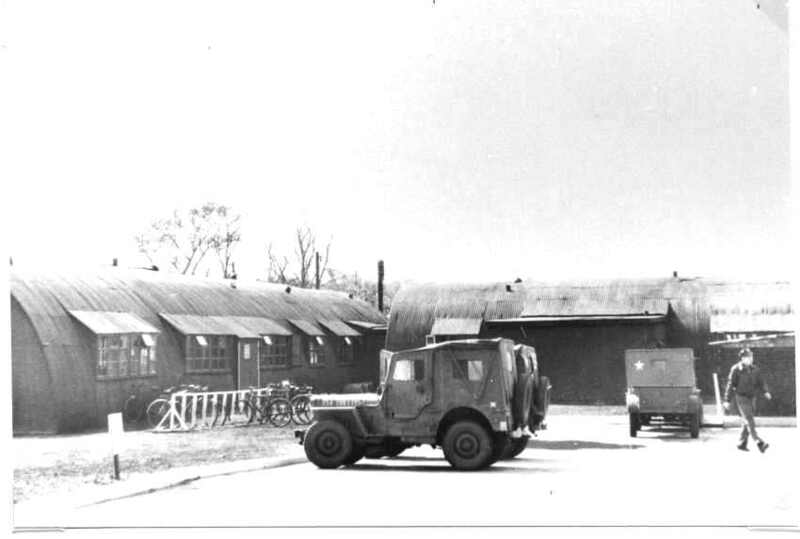 Another view of the base hospital with jeeps. 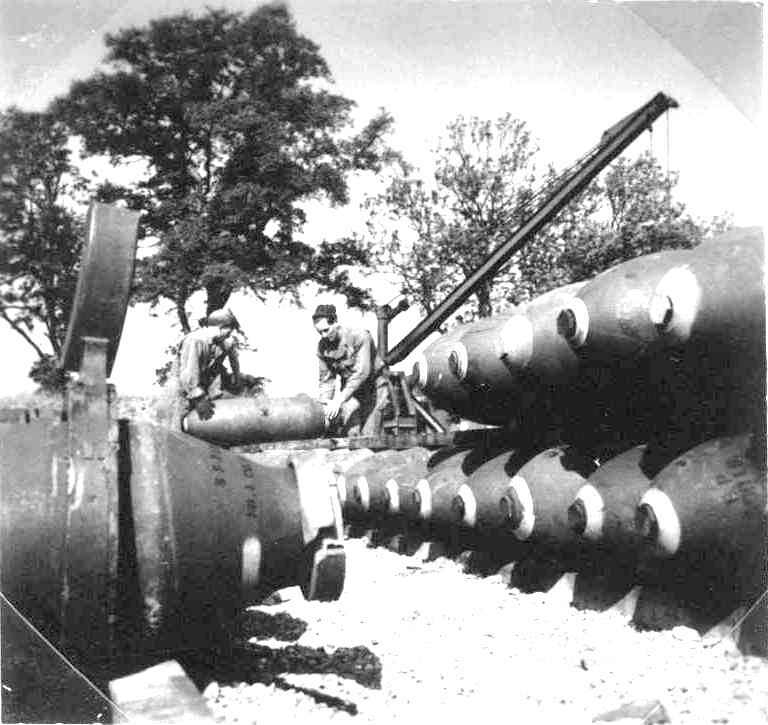 Lifting device at the bomb storage depot. Unknown personnel. 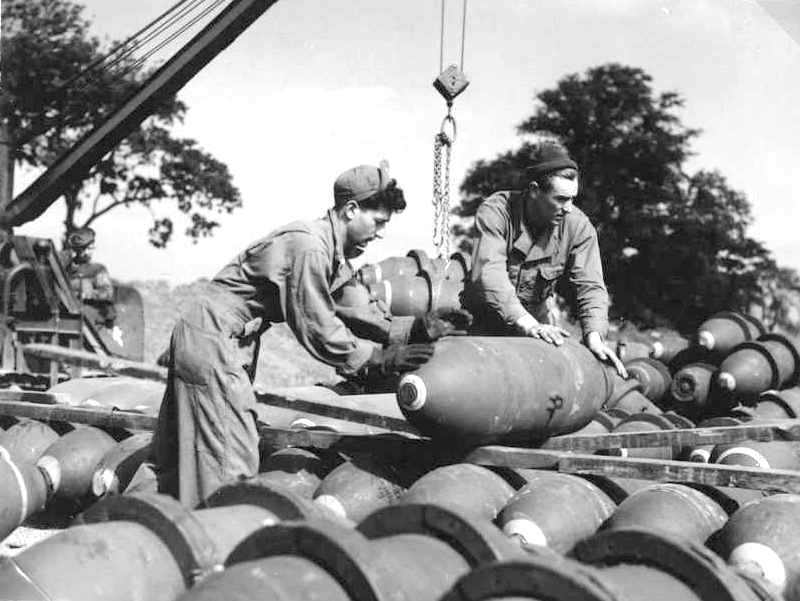 Bombs on mobile carriers ready to go. 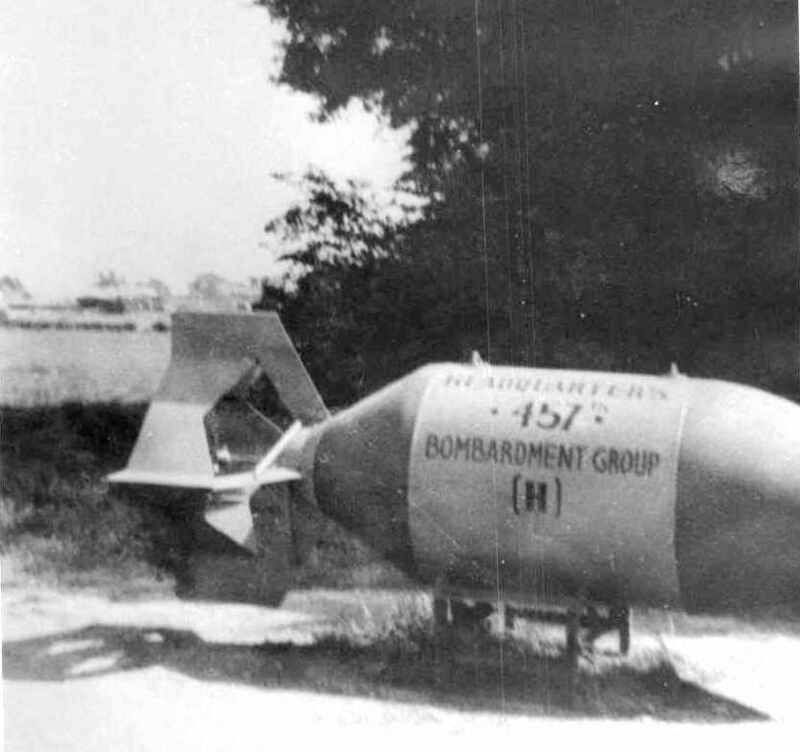 One of the larger bombs on display outside the Headquarters hut. 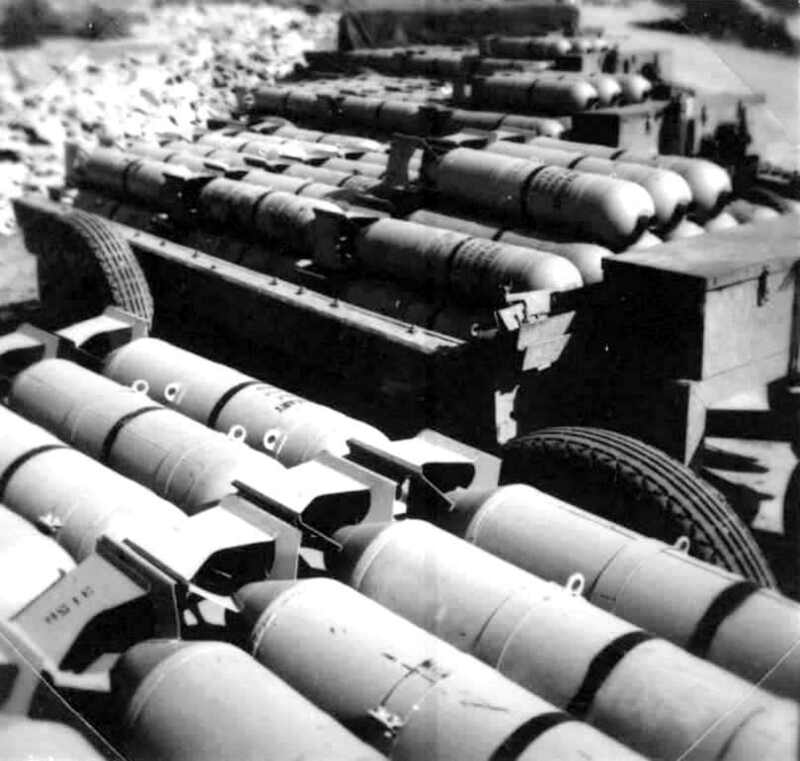 Bomb storage depot north of field. 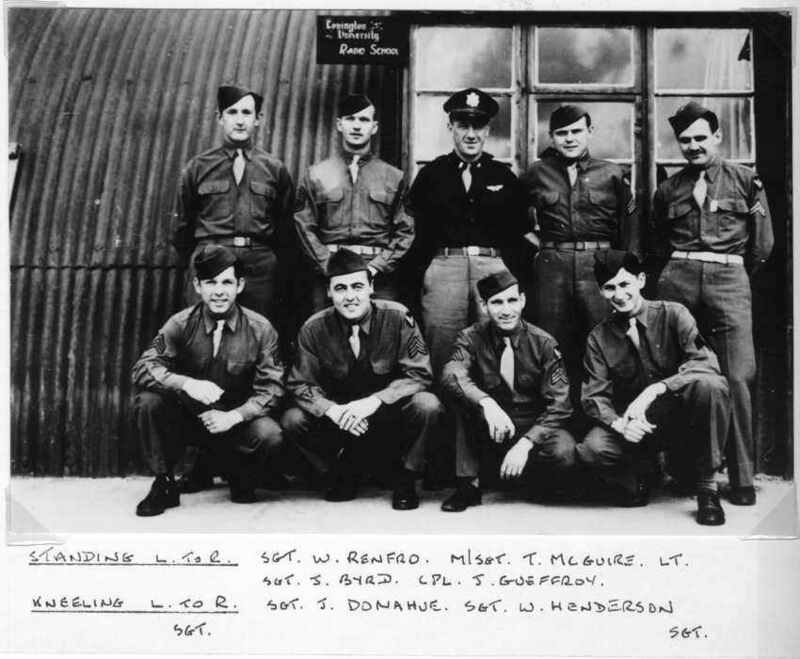 Personnel unknown. 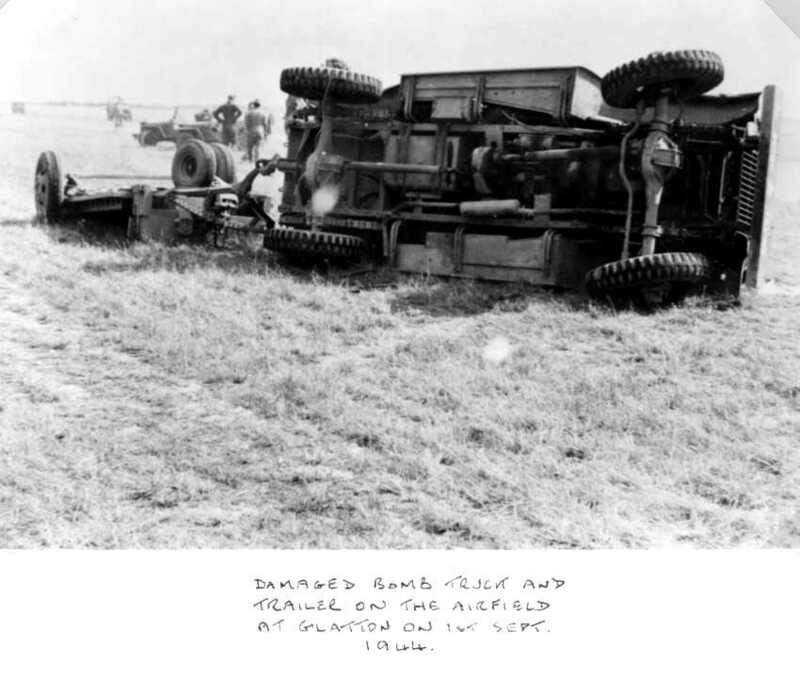 A slight accident with the bomb trailer and truck. 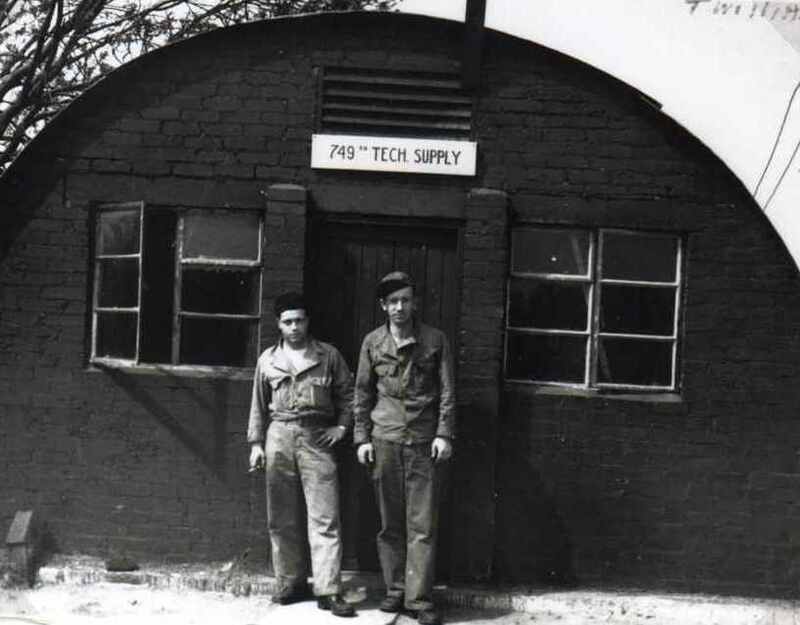 Burkhart and Williams outside the 749th Tech. Supply.